Early this morning, Vizio kicked their CES off with a bang by announcing a handful of new products – a 10″ tablet powered by the newly announced Tegra 4, a 7″ tablet powered by a Tegra 3, a phone with a 5″ 1080p display, and another with a 4.7″ 720p display. The phones will head to China and may never arrive here, but the tablets certainly have a chance at landing on your coffee table. The 10″ tablet will sport a high-res display with a 2560 x 1600 resolution, the previously mentioned Tegra 4, 32GB internal storage, has a soft touch finish on the back, and will run Android 4.2 at launch. The Verge is reporting that the tablet is insanely light, something that can’t be said for some of the previously released Android slates. We’ll try to get our hands on it once the show floor opens and will report back. The 7″ tablet will again, sport a Tegra 3, 1280 x 800 IPS display, 16GB of storage, a 1.2 megapixel front-facing camera, and stock Android Jelly Bean. Many are comparing it to the Nexus 7, and that’s probably a fair comparison. The phones sound fairly appealing, aside from the fact that they are headed to China. 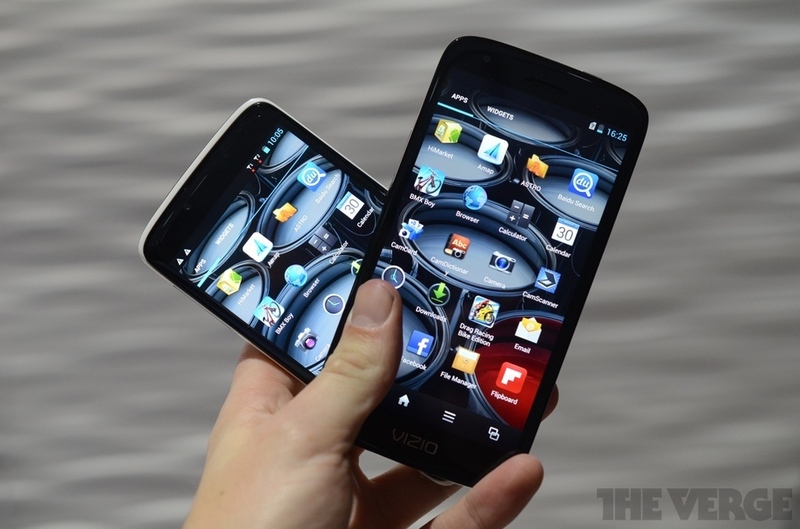 The 5″ 1080p phone reportedly has one of the best displays you’ll see (something we hope to find out later this week). The 4.7″ phone won’t blow your mind other than its 720p display, but both phones are rocking dual-core processors and plenty of RAM. 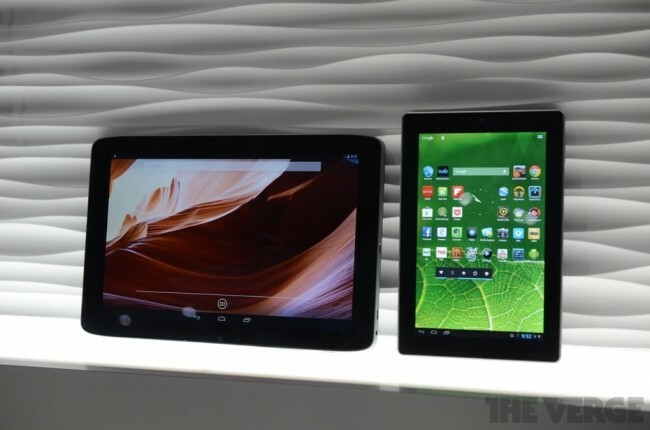 There was no mention of a price or availability for the tablets other than “first half” of 2013 for the 7-incher. And again, the phones are headed to China.